What could be better than spending Memorial Day weekend in Michigan? Some of you may be heading up North, while others are staying put in the city or burbs to enjoy plenty of live music and of course, food and drinks! If you know you’ll be indulging this weekend, here is a healthy, super-easy oatmeal recipe that only requires six simple ingredients and costs under $1.00! Dish up some of this oatmeal goodness this weekend to help steer you away from mindless eating, and to give you the energy to stand for hours at events like the Movement Electronic Music Festival at Hart Plaza http://www.movement.us/ or walk around the St. Mary’s Polish Country Fair http://stmaryspolishcountryfair.afrogs.org/. 1 tbsp real Maple syrup (not the sugar-free kind)! 1. Add oats, liquid, and cinnamon to a medium saucepan and bring to a boil. Reduce heat and stir occasionally for about 5 minutes. 3. 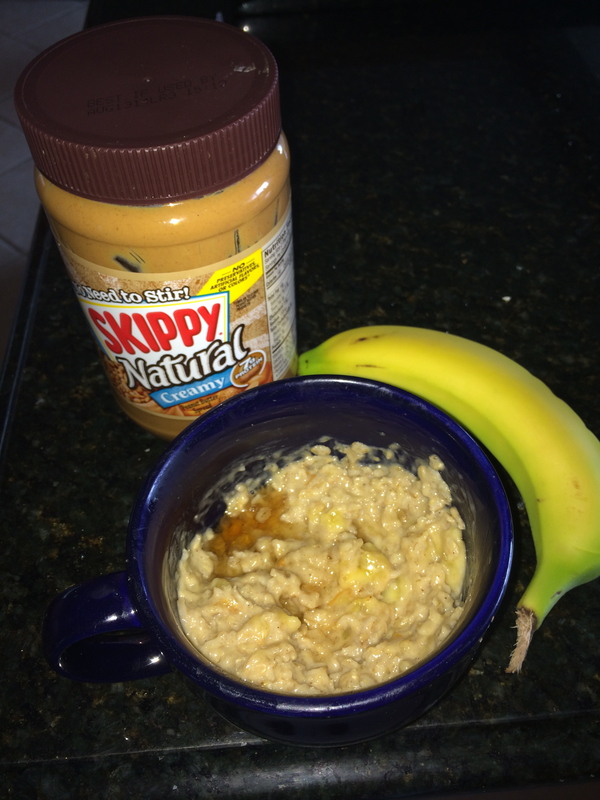 Stir in banana, PB, and maple syrup. Serve with a hot cup of coffee or tea, and enjoy! Chat with Coneys and Kale: What are you munching on this Memorial Day weekend? Share your favorites in a comment right here on the blog, or on the Facebook or Twitter pages!